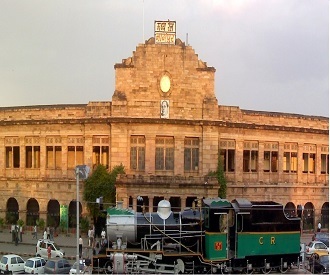 Nagpur is the largest city in Central India and second capitol of the state of Maharashtra in India. Nagpur is also known as Waghpur as it is called as Tiger Capital in India. Nagpur is having many tiger reserve in nearby area. Nagpur is also famous throughout country as city of Oragnes "Orange City". There are many government department offices in Nagpur and nearby area. We offer packers and movers relocation services, household shifting services in Nagpur in different areas like Byramji Town, Sadar, Khare Town, Khamla Road, Katol Road, Friends Colony, KT Nagar near Ramdev Baba Engineering College, Pandey Layout, Wardha Road, Nandanvan, Wardhaman Nagar, Hanuman Nagar, Manewada, Trimurti Nagar, Swalambi Nagar, Hill Top, Narendra Nagar, Seminary Hills, Zingabai Takli area in Nagpur. Packers and Movers services are offered in different areas in Nagpur are Gokulpeth, Ramdaspeth, Gandhi Nagar, Ambazari Layout, Shankar Nagar, Madhav Nagar, Laxmi Nagar, Pratap Nagar, Manish Nagar, Besa, Civil Lines, Seminary Hills area in Nagpur. As packers and movers in Nagpur we offer different services like packers and movers, home transport, car transport services,loading and unloading services, unpacking of household goods from Nagpur and its nearby area including Nagpur, Chandrapur, Bhandara, Gondia, Raipur, Katol, Wardha, Saoner, Saunsar, Chhindwara, Butibori, Kamptee, Ramtek etc. Reputed Packing and Moving Services Nagpur, Chandrapur, Bhandara, Gondia, Raipur, Katol, Saoner, Butibori, Chhindwara, Kamptee, Wardha, Raipur, Jabalpur, Seoni, Umred, Sakoli, Amravati, Akola, Mouda, Warora, Hinganghat, Pulgaon, Wani, Yavatmal, Pusad, Brahmapuri, Vadsa, Gadchiroli, Tiroda, Balaghat, Katangi, Tumsar, Ramtek, Mansar near Nagpur in Maharashtra. Nagpur is located exactly center in India and it is known as one of the safe city in India. There is also Reserve Bank of India located in Nagpur and It is assumed that all gold kept by Reserve Bank of India is stored in Nagpur. Nagpur is famous for its temples, lakes and hills. 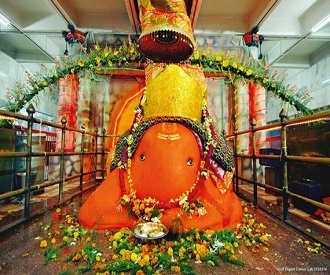 Dikshabhoomi, Ganesh Temple, Koradi Mata Temple, Adasa Temple, Ramtek Temple, Telankhedi Hanuman Mandir, Swami Narayan Temple, Sai Baba Temple and Baba Tajuddin Darbar are very famous and Siddh Temples / religious places in Nagpur. Nagpur is major center for Coal and Manganese, Nagpur and nearby area produces electricity power which is used in entire Maharashtra. Climate of Nagpur is very dry and hot weather most of the times, summer starts early in March and remain till September end. Temperature remain as high as 45 degree and low in the range of 25 degrees. Winter starts in November and weather remain cold till January. We have given services to more than 600 corporate and government department like ICICI Bank, HDFC Bank, State Bank of India, Reserve Bank of India, Vijaya Bank, IDBI Bank, Western Coal Fields Limited, MOIL, Adani Group, Reliance Industries Limited, Reliance ADAG Group Companies, KEC Ltd, ACC Ltd, Axis Bank Ltd, Murli Industries Ltd, Pantaloon Ltd, Future Group, Birla Sunlife Ltd, L&T, BHEL, Neco Group, JSW Steel, Raymonds Ltd, Essar Ltd, TCS, Infosys, Wipro, Global Logic and many more corporates.